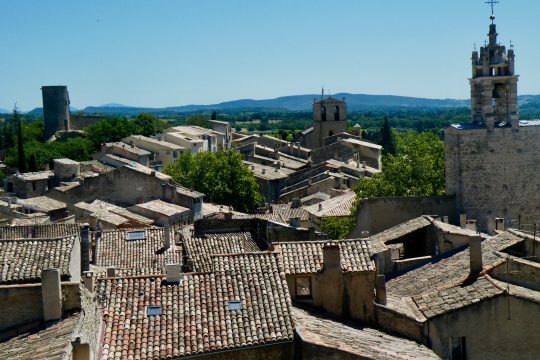 In the morning, we will pick you up at the train station for a walking tour through this beautiful city of Avignon with amazing medieval features including city walls and gates, the 12th century bridge over the Rhône, and the 14th century Palace of the Popes. 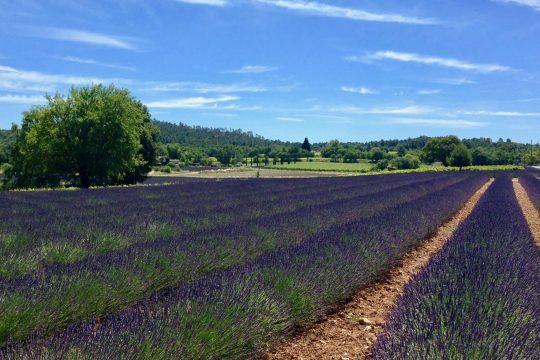 We will spend the afternoon in the Natural Regional Park of the Luberon, discovering the Provencal countryside and the lavender fields (in bloom from mid-June to July). 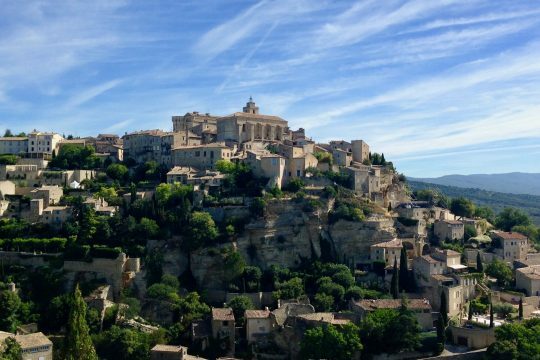 Visit the hilltop village of Gordes, perched on a rocky spur, and Roussillon, the red village surrounded by ochre cliffs. 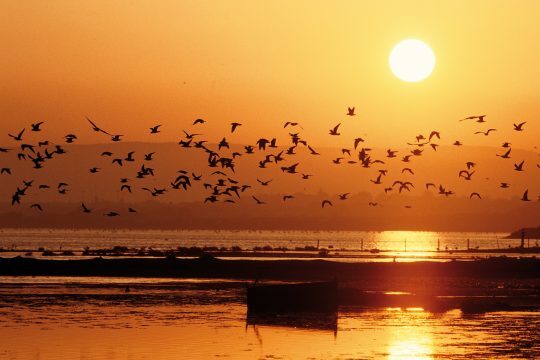 During the high season we might covre quieter places such as Menerbes and Lacoste. Tour Avignon in the morning or in the afternoon, depending on the season. 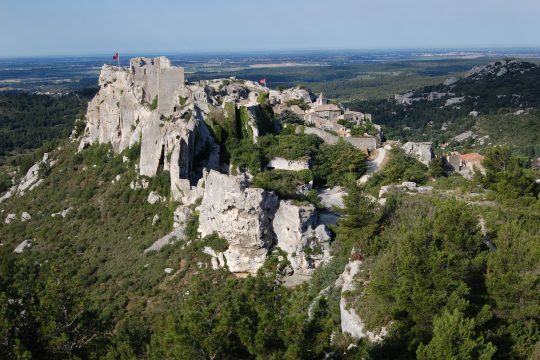 Visit the South to see the Alpilles Mountains and Les-Baux-de-Provence, a medieval village perched around its castle, and surrounded by olive trees, vineyards, and limestone formations. 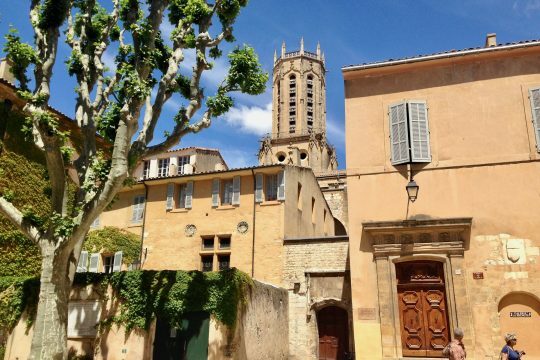 Tour the picturesque town of Saint-Rémy-de-Provence, famous in part by Van Gogh, who spent a year in the Saint-Paul-de-Mausole Asylum, which you can also visit. The asylum is actually a beautiful former medieval monastery. Finally, stop at an olive oil farm to taste the different types of olive oil produced in the valley. Your tour guide will pick you up at the TGV train station of Aix-en-Provence. 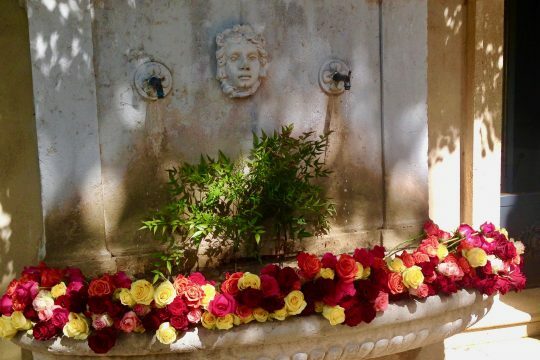 You will tour Aix-en-Provence, the sumptuous Baroque and Classical city with beautiful private mansions, charming streets, squares, and fountains. It is here that the painter Cézanne was born and spent most of his life. 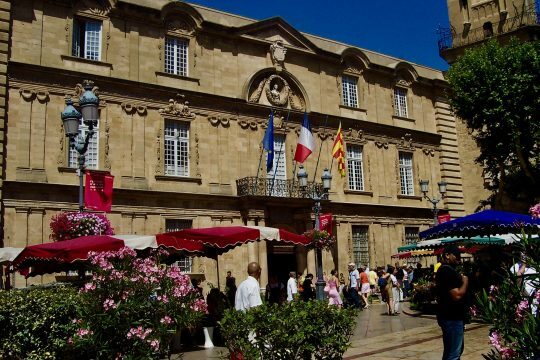 You will be able to enjoy the huge Provencal market on Tuesdays, Thursdays and Saturdays. 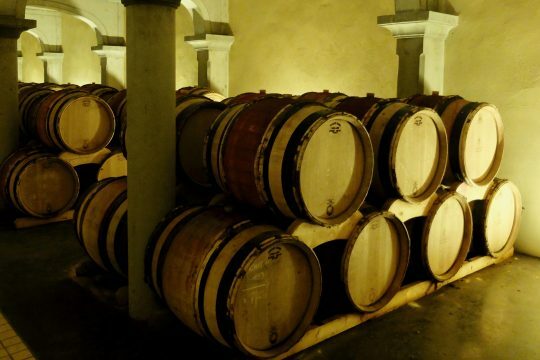 Afterwards, tour to the southern part of Luberon and discover a few villages: Lourmarin, Cucuron or Ansouis. 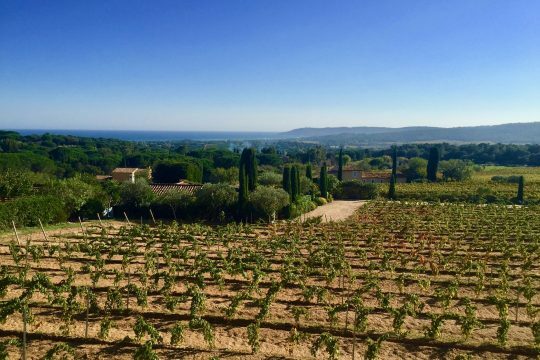 A full day trip to the area of Luberon is possible as well. 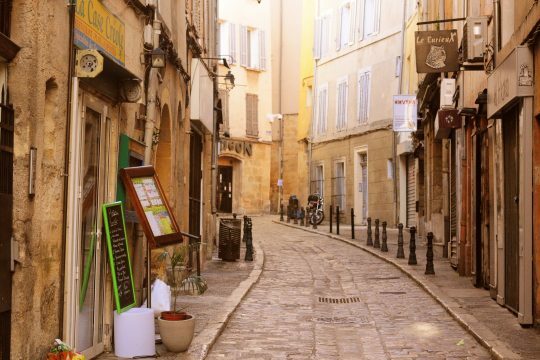 Visit Aix-en-Provence in the morning, followed by the coastal town of Cassis, a charming village built around its harbor. You can see the Calanques (mini fjords surrounded by high limestone cliffs and clear blue water) by boat if weather permits. Drive to the top of the cliff of Cap Canaille for a magnificent panoramic view. 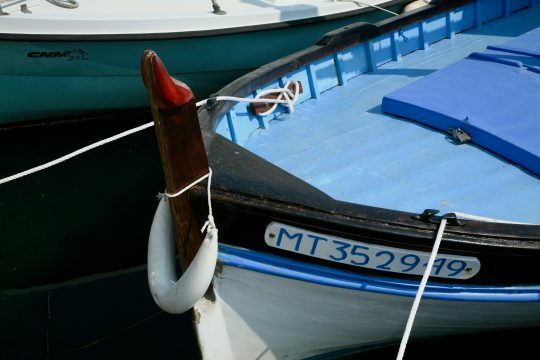 We will start visiting Cassis including the boat ride if possible. 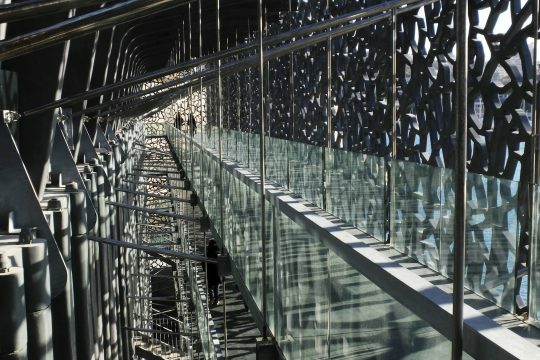 We spend the rest of the time in the city of Marseille, discovering the highlights of this amazing and very scenic city: the road along the coast, the Notre Dame de la Garde church on the top of the hill, Saint-Victor abbey, the Vieux Port, or old harbor, the recently-built MUCEM Museum, and the Saint John Fortress. 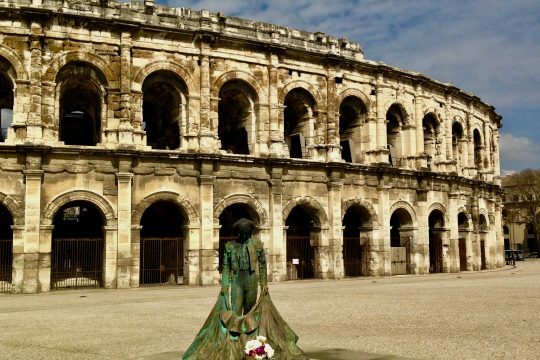 Your guide will take you back to the Marseilles TGV station for your trip back to Paris.